The poached egg plant cover crop that followed the early potatoes is growing thickly. Purple sprouting broccoli has survived the caterpillars. The potatoes are lifted and poached egg plant Limnanthes douglasii is in for a winter cover crop. Oca and beetroot growing amongst the parsnips. 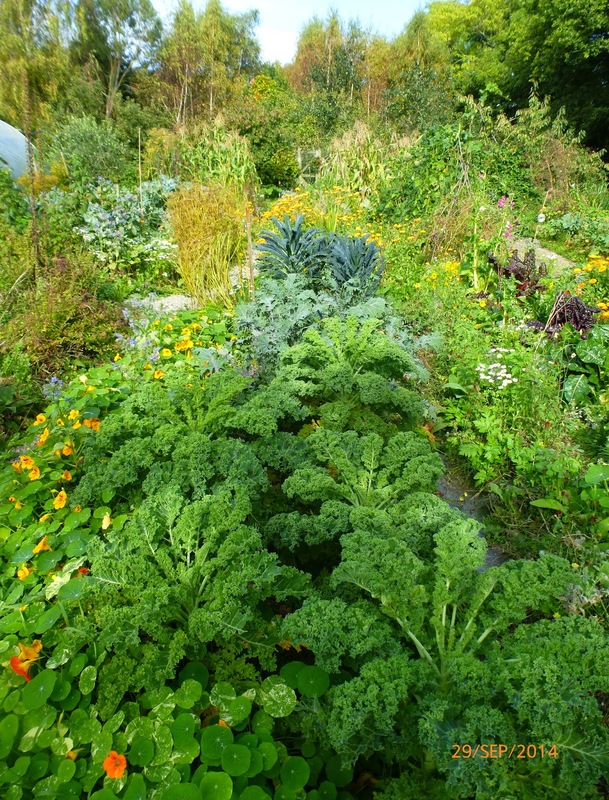 The bed of Kale is starting to fill out. 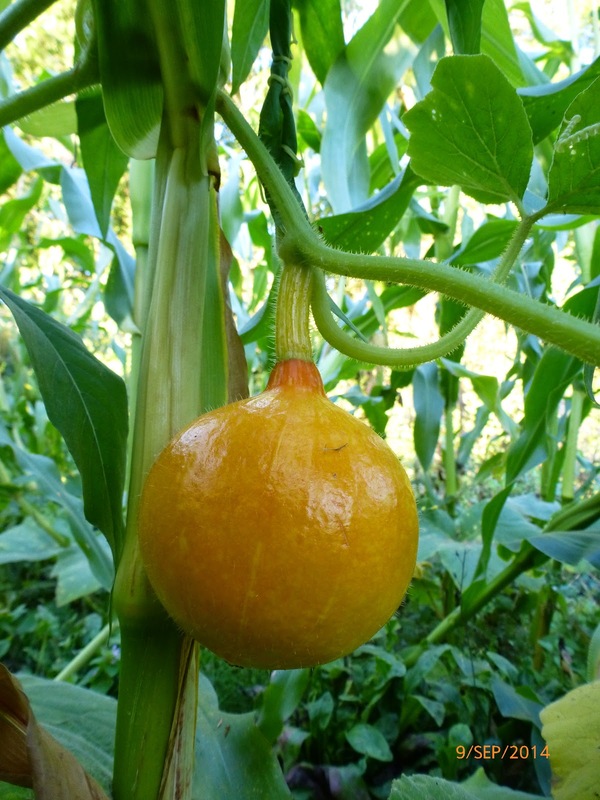 Pumpkin growing up the sweetcorn. Sunflower in the veg. patch. 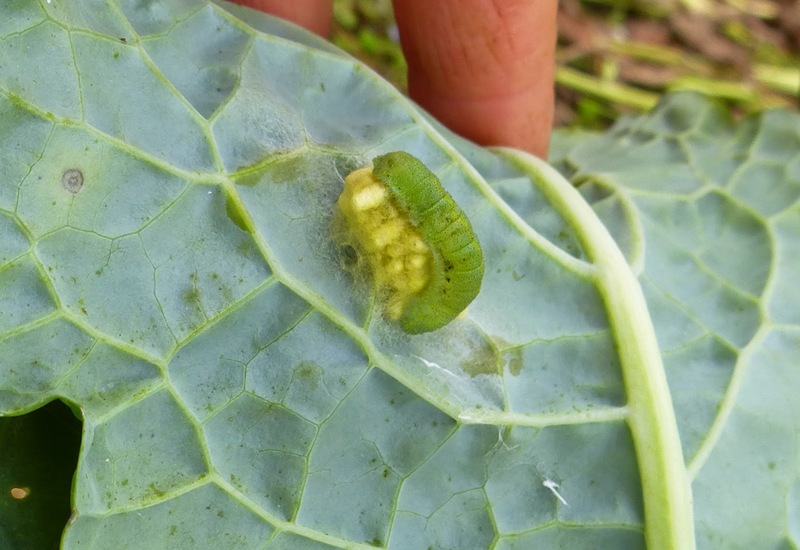 One of the caterpillars of the small white butterfly has been parasitized, the little eggs have hatched from the caterpillar who has been their host. 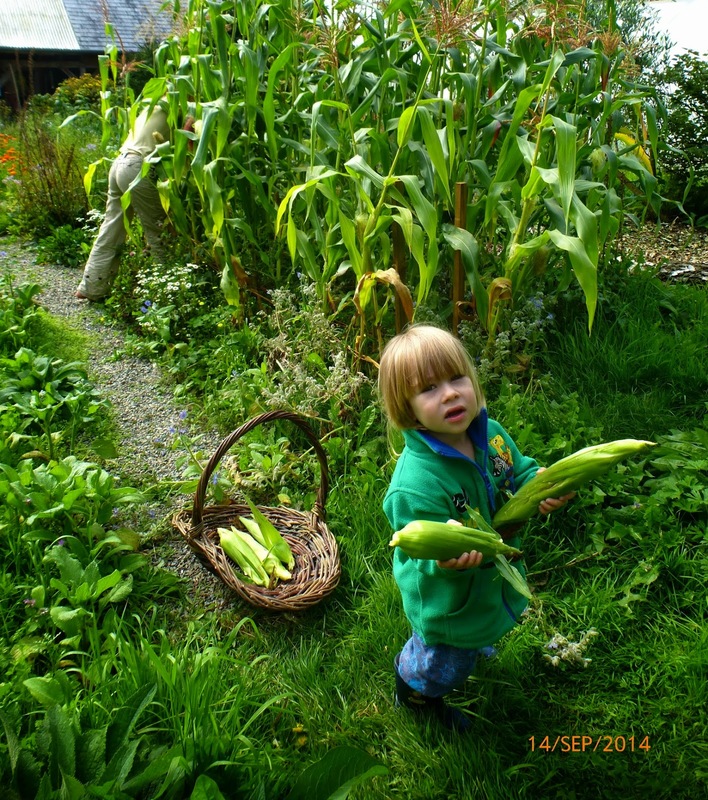 This is a good thing for the brassica plant that was been eaten by the caterpillar and a bad thing for the caterpillar! Irish green pea seed saved for next year. This is a cooking plum, we made jam with the first ones a few weeks ago but these were ripe enough that we ate them all just as they are. Did I say in May that Raspberries were my favourite fruit? or in June how much I love Apricots? In July no doubt I thought peaches were wonderful and I am sure Plums were the best fruit ever in August. More Apple and pear photos to follow.